Centre for Biodiversity and Biosecurity seminar – all welcome. Manpreet Dhami received her Ph.D. in 2012 from the University of Auckland studying the multi-trophic interactions between scale insects, their symbionts and honeydew consumers. She was supervised by Jacqueline Beggs and Mike Taylor. Manpreet discovered and characterized a novel bacterial symbiont associated with endemic New Zealand scale insects (Dhami et al. 2012), and elucidated the cophylogenetic patterns between bacteria and their scale insect hosts (Dhami et al. 2013a). She also documented the diverse fungal community associated with honeydew (Dhami et al. 2013b) and showed that honeydew from each scale insect species had a distinctive amino acid and carbohydrate signature (Dhami et al. 2011). Currently she works as a postdoctoral research fellow at Stanford University in Tad Fukami’s lab, where she is developing an ecological genomics approach to assess the mechanisms underlying microbial community assembly. Next generation sequencing has revolutionised access to genomics to address key ecological questions such as genetic mechanisms of fitness. I present two case studies that integrate genomics and classic ecological approaches. Case study 1: Sap-feeding scale insects thrive on a nutritionally poor diet of phloem, possibly enabled by the presence of novel obligate symbionts. Such symbionts, however, cannot be cultured in-situ, hindering further study of their function. We sequenced the genome of one symbiont, establishing its nutritional role in the ecological success of this insect. Case study 2: Floral nectar hosts a complex community of microbes, such as the dominant Floricolous yeast, Metschnikowia reukaufii. We characterised cell and colony morphology, growth rates and sequenced the whole genome for 23 strains of M. reukaufii. This yeast’s high intraspecific phenotypic variation was correlated with genotypic diversity, potentially contributing to its success as a nectar specialist. Landcare Research These are exciting times to be a mycologist. Molecular technologies are revolutionising our understanding of fungal distribution, biology, and origins. For the first time it is possible to develop phylogenies that might be accurate, to verify whether species are exotic or indigenous, and to track the distribution of fungi across landscapes. For the past 300 years, until about 10 years ago, fungal names and classifications were based on morphological characters. Today, fungal taxonomy is driven by phylogenies constructed using DNA sequences. Many user groups rely on DNA sequencing for fungal identification – plant pathologists, ecologists, mycorrhizal researchers. However, the traditional, morphologically- based fungal taxa are often not supported genetically. Therefore, access to the accumulated knowledge on an organism, linked to its morphologically based name, requires reconciliation between the traditional taxa and classifications and molecular phylogenies. 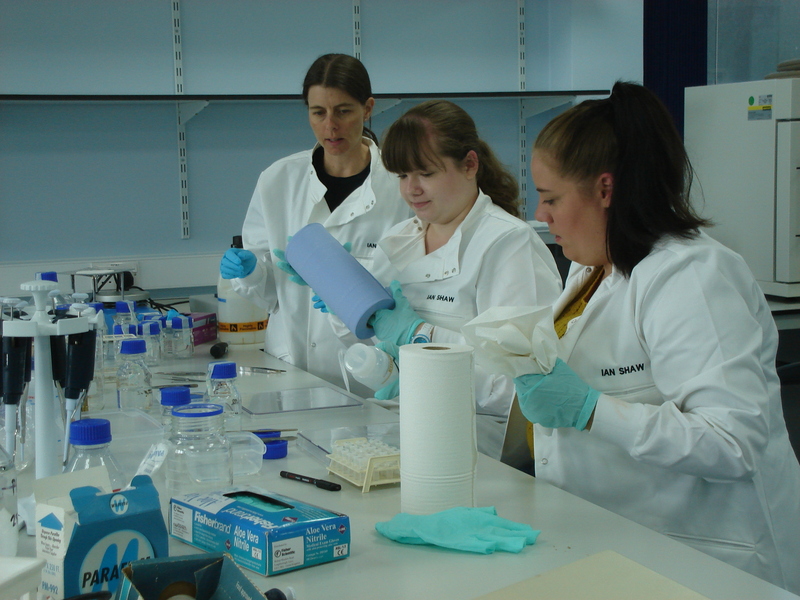 High throughput sequencing technologies will be used in the Bioheritage National Science Challenge real time biodiversity assessment projects to measure changes in biological diversity across New Zealand. Analysis of the NSC fungal data will rely on the phylogeny- based classifications currently being developed, while interpretation of its significance will rely on the knowledge attached to the old names. This talk will use the Leotiomycetes (disc fungi) to illustrate some of the taxonomic issues involved with the development of these new classifications and their implications for the use of fungal names. Missing in action since 1921! In 1921, Scutellista caerulea (Fonscolombe, 1832) (Hymenoptera: Pteromalidae) was imported and released in Nelson for the biological control of pest scale insects (Thorpe, 2013). It was thought to have failed to establish. On 17 April 2013, I captured a specimen on vegetation by the pond on the Tamaki Campus, University of Auckland. Despite looking out for adults, I did not see it again until 21 March 2015, when another single specimen turned up (see photos), once again on the Tamaki Campus, just metres away from building 733, where I am based! I shook it out of a garden box of dense Libertia, by the staff shuttle stop (see photo). The question remains unanswered as to whether these specimens are descendants of the 1921 release in Nelson, or else represent a new incursion. The fact that I have only managed to find two specimens in nearly two full years adds some plausibility to the idea that it could have been present in N.Z., unnoticed, since 1921. The proximity of the dates of capture also suggests that there may be a very narrow window of seasonality for adult activity. The species is extremely distinctive. It is a chunky 2 mm long blue wasp, with an enormously developed shield like scutellum, under which it tucks away its wings. Nothing else is like it! The species is known to be a parasitoid of soft scales of the family Coccidae (Badary & Abd-Rabou, 2011), and it would make an interesting project to try to rear it from coccids in Auckland. The Coccidae of N.Z. have been well documented by Hodgson & Henderson (2000). Scutellista – recently recorded in Auckland after decades of no sightings. A new Australian ladybird for New Zealand! I have only very recently discovered that the courtyard in front of the Human Sciences Building (HSB), on the University of Auckland City Campus, has plantings of all sorts of interesting and unusual exotic plants, some of which have associated insect herbivores. Some cycads there are infested with various scale insects. On these cycads, I have found two adults of a ladybird new to New Zealand. The adult isn’t going to win any ladybird beauty pageants! It is tiny and uniformly black (see photo on left). However, the structure of the head is quite distinctive, especially the reduced antennae, hidden under a shelf (see photo on right). Based on adult morphology, it clearly belongs to the genus Telsimia, which was hitherto not known to be present in New Zealand. Identification at the species level is a bit trickier, but I have tentatively determined it as Telsimia subviridis (Blackburn, 1892), a common Australian species (Ślipiński, Pang & Pope, 2005). Species in this genus are predators of scale insects, particularly armoured scale (family Diaspididae). Larvae of species in this genus are known to have long waxy projections (Park & Yoon, 1993). I have seen three larvae fitting this description in the HSB courtyard (see middle photo), but not on the cycads! The larvae were all on the trunk of an Acacia tree, several metres away from the cycads. I have not seen larvae like this elsewhere. New ladybird species in town. Left: adult Telsimia ladybird, centre: Telsimia larva, right: close up of adult Telsimia head. Park, H.-C.; Yoon, I.-B. 1993: Telsimia nagasakiensis Miyatake, an unrecorded species (Coccinellidae, Coleoptera) from Korea, with larval description and biology. Korean journal of entomology, 23(4): 277-281. Ślipiński, A.; Pang, H.; Pope, R.D. 2005: Revision of the Australian Coccinellidae (Coleoptera). Part 4. Tribe Telsimini. Annales zoologici, 55(2): 243-269 . Distinguished Professor Phil Lounibos (Florida Medical Entomology Lab, University of Florida) visits the University of Auckland in March 2015 and will present a Centre for Biodiversity and Biosecurity seminar on 25 March, 12:30pm, Tāmaki Campus, Building 733, Room 234. All welcome. Prof Lounibos completed his PhD at Harvard University on silkworm behavior. His interest in insect ecology and behavior flourished in a career focussed particularly on mosquito vectors of human diseases, such as malaria and dengue. 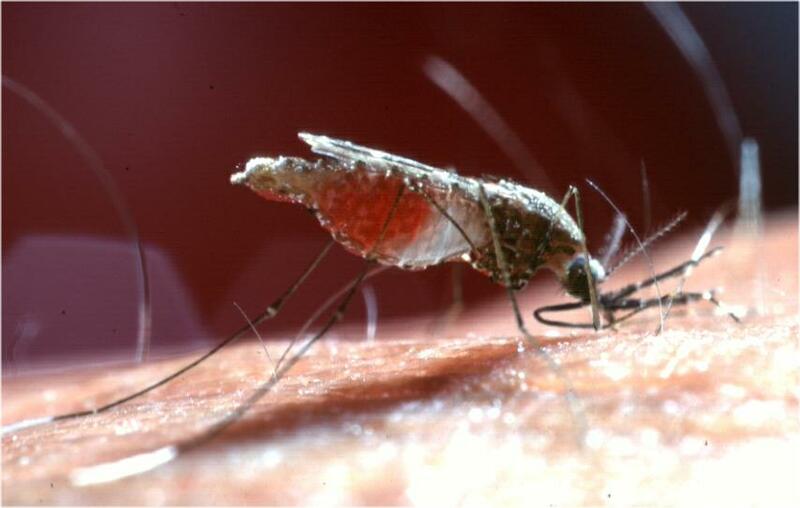 Select mosquito species, especially those adapted to human habitats, have invaded globally, facilitating the spread of pathogens that they may transmit. In recent decades the Asian tiger mosquito, Aedes albopictus, has been an especially effective invader, its establishments and spread in new regions enhanced by competitive displacements of resident mosquito species that occupy a similar niche. This seminar will discuss recent research that identifies asymmetric reproductive competition, a.k.a. satyrization, as the probable mechanism leading to displacements of resident Aedes aegypti in the southeastern USA and elsewhere, by A. albopictus. Invasions and displacements by these two species, the foremost vectors of dengue and chikungunya viruses to humans, have potential public health consequences. On Monday morning (9th March 2015) locals, conservationists and tangata whenua gathered at 40 Paturoa Road to protect a centuries old kauri tree marked for felling to make way for new dwellings on the property. Thanks to the efforts of these dedicated folk, the trees are safe (for now). So what is so special about this tree and why should we care about it being removed? Here I address several important questions about the value and significance of this tree and the surrounding vegetation. Why are kauri trees so special? Last month I wrapped up the field work for my PhD, which is about the biogeography of fungi which live in the roots of sand dune grasses. 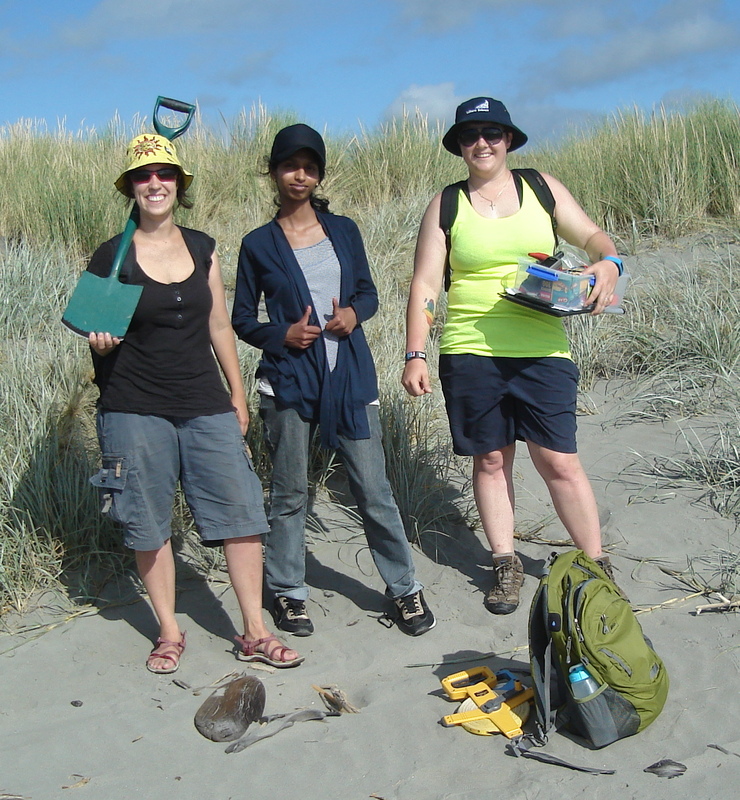 I have enjoyed some fantastic travel, collecting roots from multiple sites in New Zealand, Australia, the United States, and the United Kingdom, but what I think about most when I reflect on my experiences is the fun I had working with a huge range of volunteers. A great (but hot!) 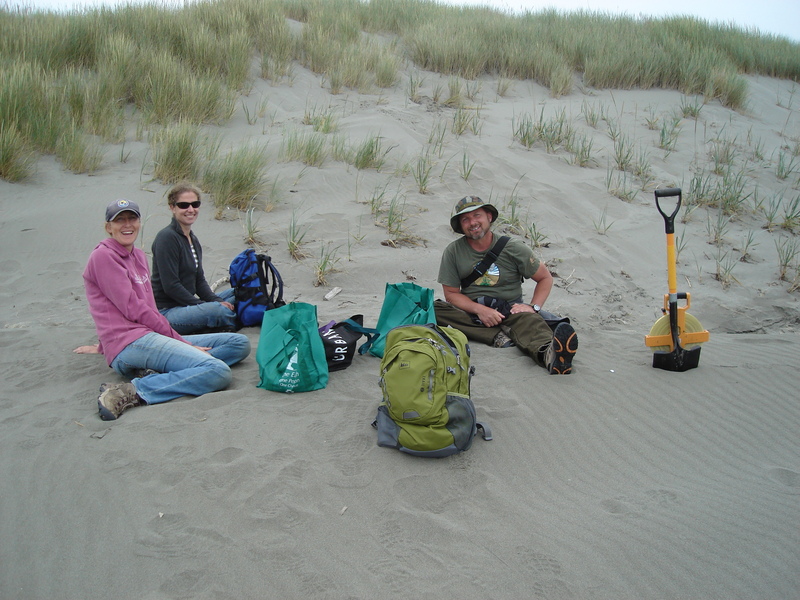 day to dig up a dune in New Zealand – thanks team! Not only was this enjoyable, but also essential given budgetary constraints. In addition to spending hours working in often difficult conditions (from full sun in hot temperatures to high winds and rain), some volunteers were incredibly generous, providing food, transport and even accommodation. Often the first time they saw me in person was when I got off a plane, train or bus to get in their car. Help was also given for sample preparation in the laboratory. Some volunteers inspected locations for me in advance and provided photographs. I found many people are interested in engaging in science, even if they don’t do research for a living. Altogether, 42 volunteers (and yes this includes a few friends and relatives!) gave their time to my project in the field and/or the laboratory. And of course my project is just one of many that uses volunteers. Reaching out to volunteers and engaging their services takes courage and strategy! However I would encourage students to give it a try, particularly if it will expand the horizons of your project. It certainly helps if you have friends or relatives near your field location. Another obvious volunteer source is other students, through contacts of supervisors or perhaps university field clubs. Undergraduates are often particularly keen, as volunteering can provide experience which helps them obtain post graduate study or work opportunities as well as ideas for their own research direction. Even emailing a lecturer in a relevant discipline can be fruitful – they may contact someone directly, notify their class or even come in the field themselves. Councils or land management organisations sometimes have lists of volunteers or can spare a staff member for a day. 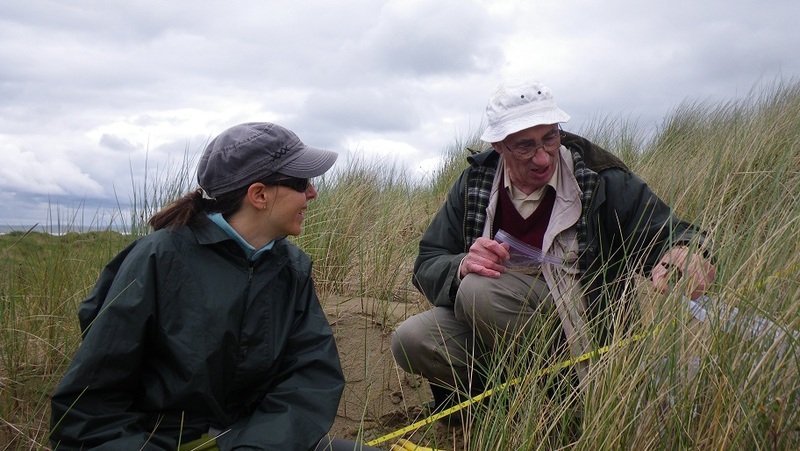 I also had the good fortune to work with retired professional biologists who were tracked down through universities and councils. Finally, local naturalist clubs (and their various incarnations such as botany, entomology, ornithology, mycology, etc.) can be very helpful, email addresses are usually available on their websites. Putting a simple webpage about the project together (even just on your university profile) is a good idea as it can be included with an initial email to provide extra details, and validates your activity. While that vital first email can be short, it should include the basics like roughly when and where the work will take place. Ensure you are clear about skills required (or not required!) Some people lack confidence and think they don’t have enough experience when for my work at least, the ability to move around a sand dune was all that was needed. Once volunteers are engaged, be sure to keep in touch (swap cell phone numbers early on) and plan a reasonable work day that doesn’t exhaust people! Not everyone is used to long days of physical activity. Try to include ‘rain days’ in your schedule so work can be postponed if the weather gets too awful. At the start of the day, provide a simple yet thorough explanation of the work being done and why. Don’t be afraid to supervise and offer polite corrections! Take meal breaks and provide snacks if you can. A cold drink on the way home is often greatly appreciated. If staying over at someone’s place or lots of time is given, providing small gifts or meals is a great idea. In some instances it may be appropriate to offer to provide a reference. Following such steps will encourage good working relations between students and volunteers – increasing the chances of successful project completion and a steady stream of volunteers for future students! A week is a long time in biosecurity, and there have been two significant developments since my last post regarding a new bee, which has now been confirmed by Ministry of Primary Industries (MPI) as Hylaeus euxanthus. 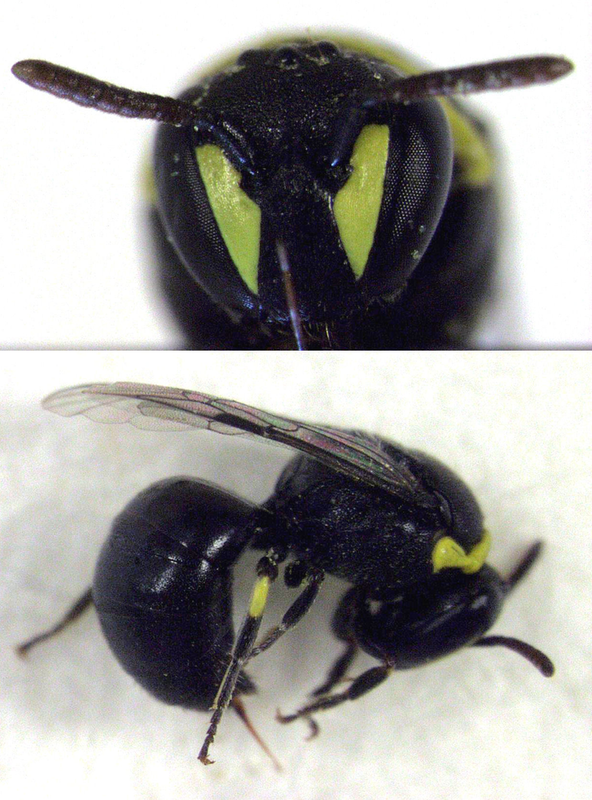 Female masked bee showing lack of yellow antennae and reduced face “mask” compared to male bee (see earlier post). Firstly, on 5 March 2015, I finally found my first female bee! It was visiting fennel flowers on the Tamaki Campus. It is strikingly different to the male of the species (see photos). The first antennal segment is not short, broad or yellow. The face “mask” is very reduced (as expected), and the legs are largely black, except for a conspicous yellow band on the hind pair. It is sufficiently different from the females of the other species of masked bees in N.Z., not to be confused with them. Secondly, MPI have recently received specimens from two other locations; nearby Point England and Saint Heliers. I think it likely that this is the first season that the bee has been present in any numbers in Auckland, since people evidently are noticing it now. It also suggests that it may currently be restricted to, or at least most abundant in, a relatively compact area of east Auckland. Checking flowering fennel across Auckland would help reveal its current distribution. Thanks go to Rudi Schnitzler (MPI) for his work on confirming the identification.